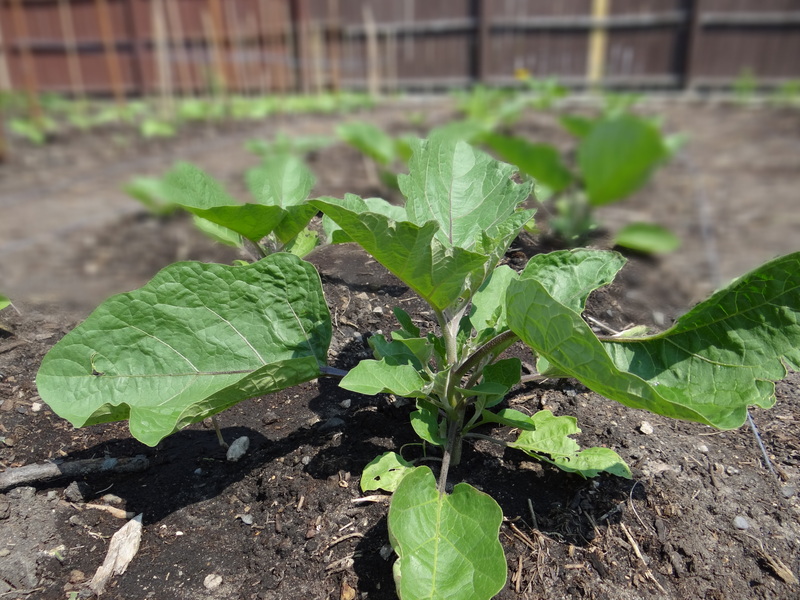 The storms that felled trees in Minneapolis and St. Paul have come and gone, and the Gandhi Mahal/HECUA garden project is in full swing! Solutionaries have been hard at work weeding, watering, planting perennials, and scraping and painting the fence. Eggplant soaking up the sun. 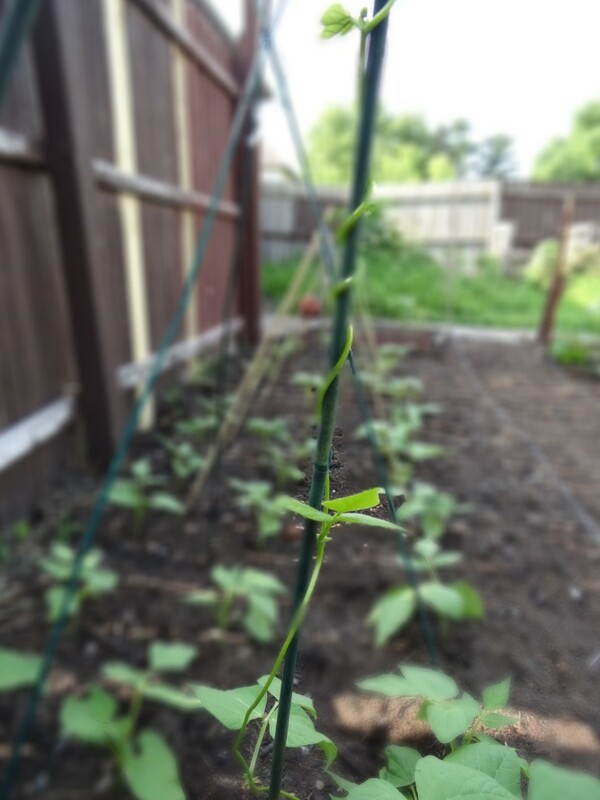 Want to come by to see what’s growing? This Thursday, July 11th, Gandhi Mahal is hosting a fundraiser dinner to kick off the garden’s Kickstarter campaign and celebrate the restaurant’s 5-year anniversary. The event runs from 5-9 PM and will feature live music, t-shirt screen-printing, a cash bar, and more! Suggested donation is $15 to raise money for bikes, rickshaws, tools, coordination, and more to support our rapidly expanding farm-to-table network. Bring your friends and your appetite for change! RSVP on Facebook below, and we’re hoping to see you there! 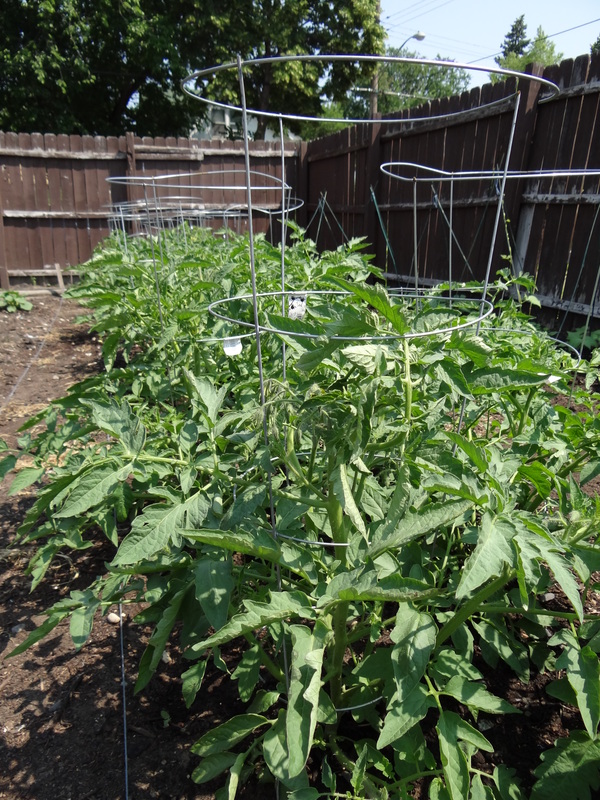 This entry was posted in Local Programs and tagged beans, eggplant, farm-to-table, Gandhi Mahal, Garden, HECUA, MN, tomatoes, twin cities by patricialamas. Bookmark the permalink. 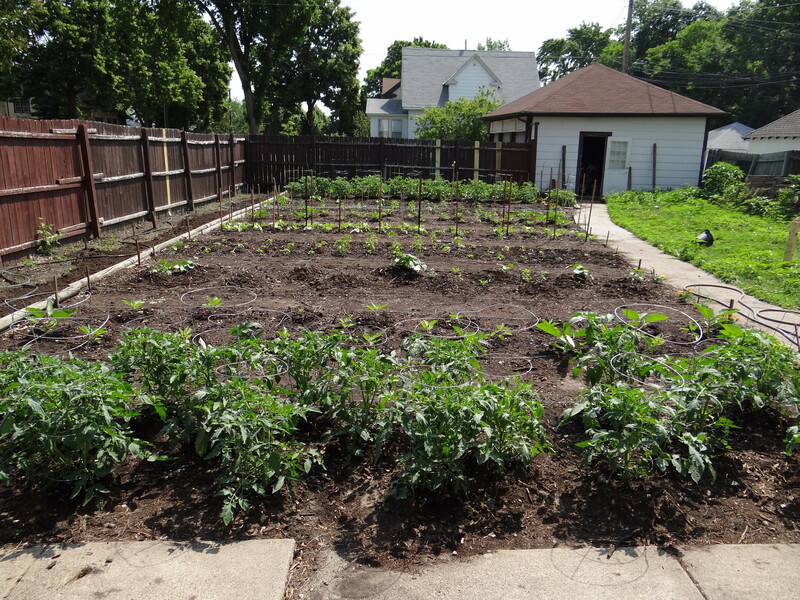 Awesome work on your garden! It is beautiful.